BEIJING/TAIPEI: China said on Wednesday that it does not need Taiwan’s permission to open new air routes, after the self-ruled island complained that a new route over the narrow Taiwan Strait that separates the two posed a security and safety risk, reported Reuters. Beijing has taken an increasingly hostile stance toward Taiwan since the election two years ago of Taiwan President Tsai Ing-wen from the pro-independence Democratic Progressive Party. Tsai said this month the opening of the air route, which runs close to two groups of Taiwan-controlled islands off the Chinese coast, was an irresponsible act that threatens regional security and affects aviation safety. Taiwan says this month’s opening of the northbound M503 route in the Taiwan Strait was done without informing Taiwan, contravening what the democratic government in Taipei said is a 2015 deal to discuss such flight paths first. Speaking at a regular news briefing in Beijing, Ma Xiaoguang, spokesman for China’s Taiwan Affairs Office, denied breaking the 2015 agreement and said Taiwan had been informed the route would be opening. “But this does not mean that opening air routes needs Taiwan’s agreement,” Ma said. There would be no impact upon aviation safety, Ma added, saying the route was needed to alleviate pressure on busy routes over southeastern China between Hong Kong and Shanghai. The route was approved by the International Civil Aviation Organisation scientifically and professionally, he said. “We should believe in science, and the International Civil Aviation Organisation,” Ma said. Taiwan should have a correct view of this matter and stop looking for opportunities to make a fuss, he added. 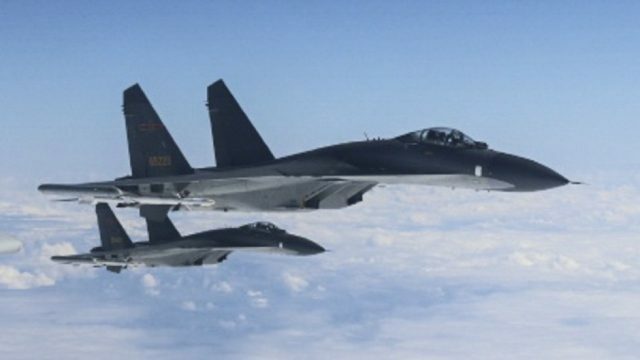 Taiwan said on Friday the new flight path was so close to the middle line of the Taiwan Strait, it would affect Taiwan air force exercises and other flight operations. China considers Taiwan a wayward province and broke off official communication with the Taiwan government after Tsai took office in 2016. China suspects Tsai wants to push for formal independence, though she has said she wants to maintain the status quo with China and is committed to ensuring peace. China has in recent months stepped up its military drills around Taiwan, alarming Taipei. China says the exercises are routine, but that it will not tolerate any attempt by the island to declare independence.